How honesty and money are related to being authentic at the workplace. 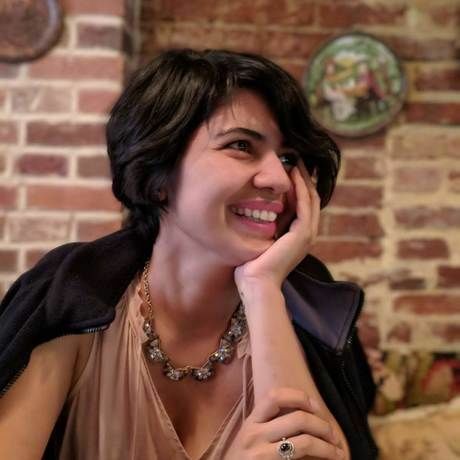 Golara Haghtalab is an artist, chemist, and designer. She attended the University of Virginia, where she received a degree in both chemistry and studio arts. After graduating she worked for an innovative chemical instrumentation company as a Product Designer and Associate Chemist, helping manufacture and market proprietary devices. These experiences gave her the ability to see technology, science, and innovation together through a creative lens. After realizing she wanted to pursue her own artistic endeavors, she left her full-time job. Golara started her own business that uses art in strategic ateliers to diagnose different organizational tangles. She also runs workshops that educate others on science, technology, and design and uses her own art to explore the intersection of science and technology. Currently, she is an artist-in-residence and instructor at the Curry School of Education at the University of Virginia.